June 2017 – Estephan was not drafted in 2017. April 2016 – Estephan has signed an ATO with the Rochester Americans, Estephan could get some good developmental minutes with the Amerks last six games of the season. 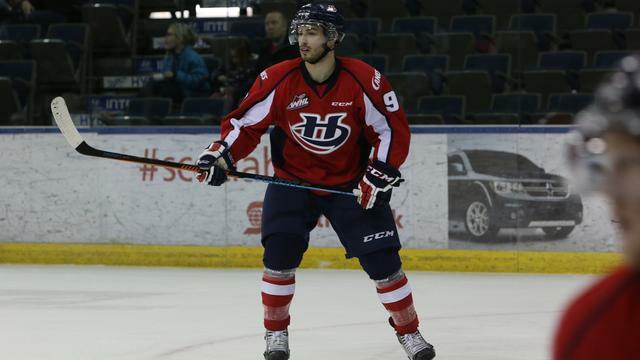 This experience will help him when he returns to the Lethbridge Hurricanes next year. The Hurricanes were upset in the first round of the WHL playoffs, which is also a great lesson for the young pivot to develop into a better leader for his team. Estephan will have to continue to develop his defensive game to become a more well-rounded centre at the NHL level. When he has confidence, he can make some pretty slick moves and create dangerous scoring chances .